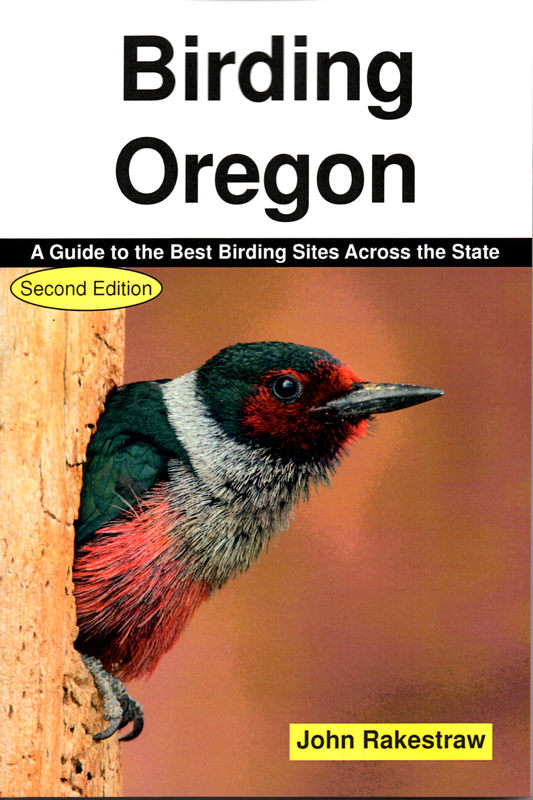 Birding Oregon describes over 250 sites. All of Oregon birding’s “greatest hits” are here, along with a few gems you won’t read about anywhere else. To be included in the book, all of the sites had to meet three criteria. 1. The site must be on public land, or on land accessible to the birding public. Trespassing is not OK, even for birders. 2. The site must be accessible in a normal passenger car. Nothing spoils a birding trip faster than a punctured oil pan or a broken axle. 3. The site must provide consistently good birding, year after year. Good birds can show up anywhere on occasion. But if your time is limited, you want to visit sites that offer the best birding on a regular basis. An updated checklist of 532 species of birds and their seasonal abundance. A Resources Section listing contact information for federal and state agencies, conservation and birding organizations, birding trails, and guide services.